The Royal Marsden continues to lead the way in groundbreaking surgery internationally, as surgeons perform a UK-first in robotic surgery. 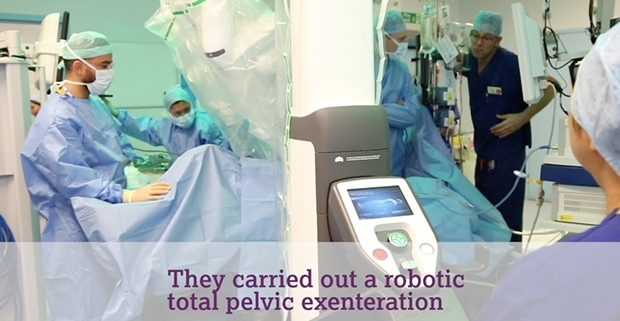 Using pioneering da Vinci robotic technology, a patient underwent a robotic total pelvic exenteration to treat advanced rectal cancer. This procedure entails removing all the organs from the pelvic area and the traditional approach would have required a large incision being made from the chest down to the pubic bone. 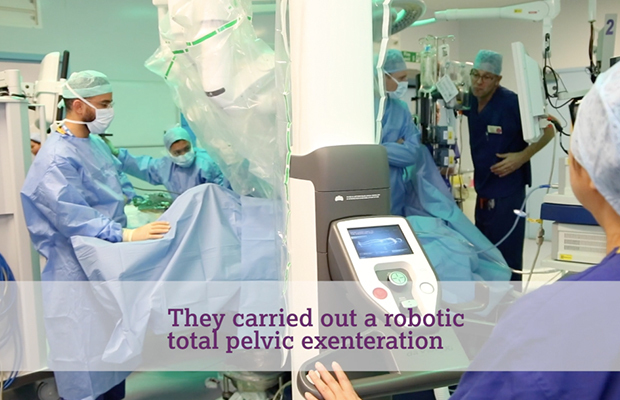 With robotic technology, however, surgeons at the Royal Marsden were able to perform the procedure through a minimally invasive approach. Robotic surgery potentially has a number of benefits; less blood loss, less pain experienced, a quicker recovery and a much quicker return to home.